Russian agricultural Bank has opened an Internet shop selling original form factor of a credit card in the form of a ring. Now the unique technology of contactless payment purchases, made in the form of jewelry, was made available to all clients of Rosselkhozbank. The online store opened in partnership with the manufacturer of the rings company, Pei Ring. Payment Mastercard Rosselkhozbank ring is a new form of payment card, inside the ring of durable zirconium ceramic is the chip module, providing a payment function with NFC. Payments are made by swipe the hand with the ring to the terminal that supports contactless payment card. The accessory is presented in several variants: this is a stylish and user-friendly black ceramic. The ring can be purchased as a gift, and because it provides no personal information and can be "linked" to the customer after purchase. In case of loss the owner of the ring blocks it as a normal Bank card, and once locked, it is impossible to access the account and use the money. "Rosselkhozbank has started production in 2017. During this time we have completed testing and given scale for the whole branch network. 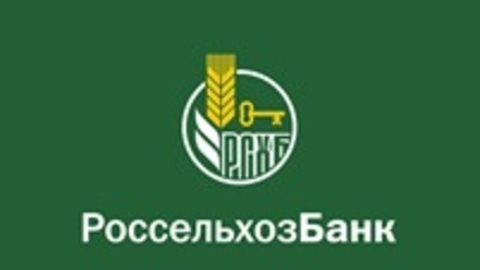 Now to make purchases to clients of Rosselkhozbank is not necessary to have a mobile phone or Bank card. Sure, bright and comfortable accessory will be relevant for people who follow the latest trends in the world of modern technology and lead an active lifestyle" - said the first Deputy Chairman of JSC "Russian agricultural Bank" Irina Gutkina. "We are constantly working on new models and a range of rings in the online shop, over time, will be updated. But even now, in the framework of this project, the available order of the rings of individual design, including with use of precious metals and stones. I am sure that our cooperation with the agricultural Bank will be fruitful and will give a new impetus to the development of the company", - said the founder of Pey the Ring with Sergey Lazarev. Learn about the advantages of payment of the ring and Rosselkhozbank to purchase a unique accessory in the online store on the official website of the Bank.